Far East Broadcasting Company NZ | My mind was completely changed. My name is Jaina. I am Kazakh nationality. My husband and I have two children. We live in Hovd province. Our motherland is located in the westernmost area of Mongolia. One year ago I heard that FEBC broadcast’s branch radio station was launched and aired in our province. My husband is a builder. Several months ago he wounded his back when he worked on a building. Due to his medical leave, we had financial and relationship misunderstandings in my family. He is feeling better now. I have been listening to the Kazakh program for a year now. Especially, I love hearing his/her testimonies. While hearing horrible and delighted stories of another one, I often deeply think about myself and understand life’s meaningfulness. Story tellers also share how God helped them from harm and though problems and situations. I think that all my heart was being prepared to hear a Word of the Lord and to receive Him according to the testimonies. I went to Kazakh program’s audience meeting in last November. During that meeting one young Kazakh woman told us about Jesus Christ. In that day I made the most valuable and important decision in all my life. I received Jesus as my Savior. Since I believed in Jesus Christ, I have been deeply understanding about biblical meaningfulness, and the contents of the program. According to the testimonies of another one, I understood God confirms though things in our life and He also gives His power and method to overcome difficulties. Due to the Kazakh program, my mind was completely changed. A few months ago my husband also listens to the program together. He likes a content of the program to tell culture and arts of Kazakh. Since November I have been attending the Kazakh women’s fellowship. During women’s fellowship we share our lives and study the Bible. Also we gather together once in a month and read and study from a book “Message from Beloved woman” about women and human development, which was written by author Ogo, FEBC Mongolia broadcaster. My husband now usually attends in Christian church. There he talks to Kazakh men about testimonies of people, history and cultures of Kazakh nationality heard from radio program. 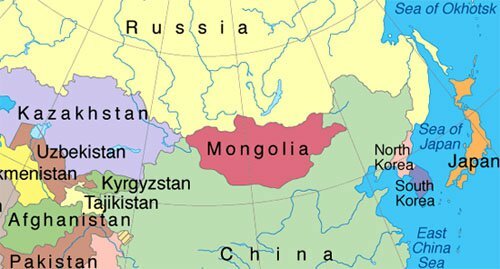 Mongolia is sandwiched between Russia and China. FEBC now has 10 FM stations across the country. Thanks to the Kazakh program, we have been provided education about Kazakh language and culture. 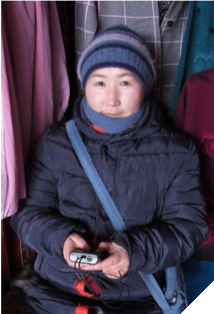 I guess so many Kazakh people like listening to your radio broadcast like our family.